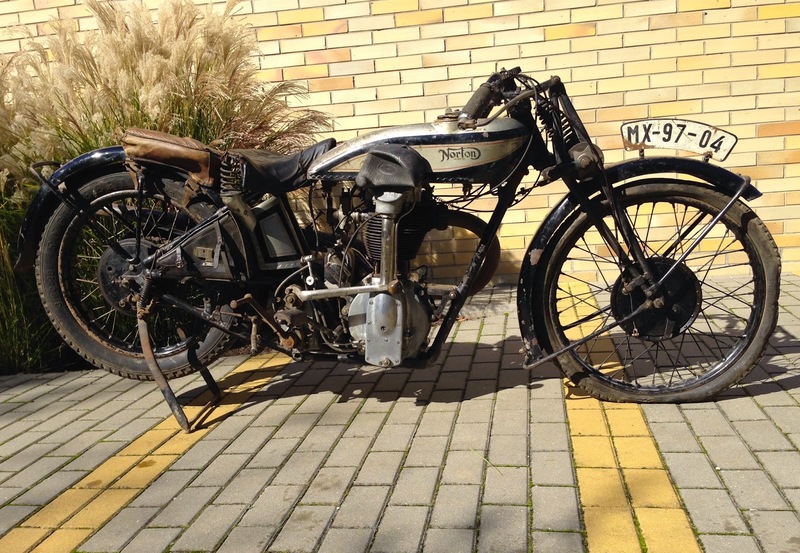 -JdK- Mirek in the Czech Republic found this very nice and original 1929 Model CS1 Norton; the story in his own words can be found below. "This Norton Model CS1 - engine number 418XX, frame number 349XX and gearbox number HW148390B - was dispatched on the 1st of March 1929 to Jan Weigel, the Norton representative in Czechoslovakia. 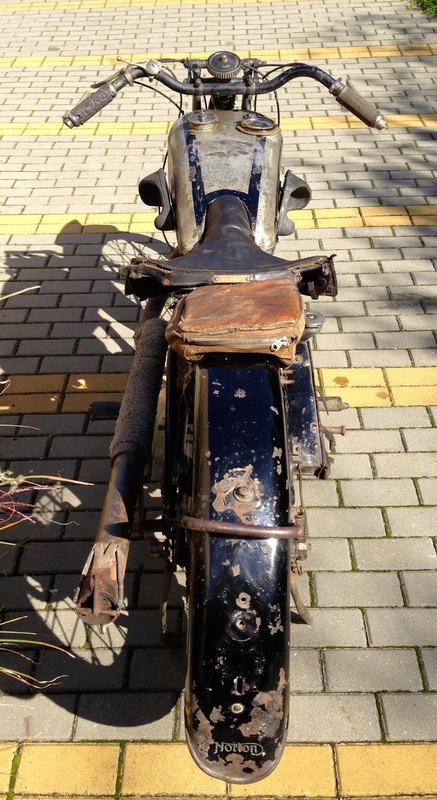 The bike cleared customs in Prostějov (in Central Moravia) on April 24th of the same year. The machine's specification included larger wheels, an additional hand-operated oil pump and a fuel tank with a built-in speedometer. The Lucas Racing Magneto number 3199A dates from December 1928. The motorcycle's first owner was Jan Filipovič, a miller in Čejč near Hodonín (in South Moravia). 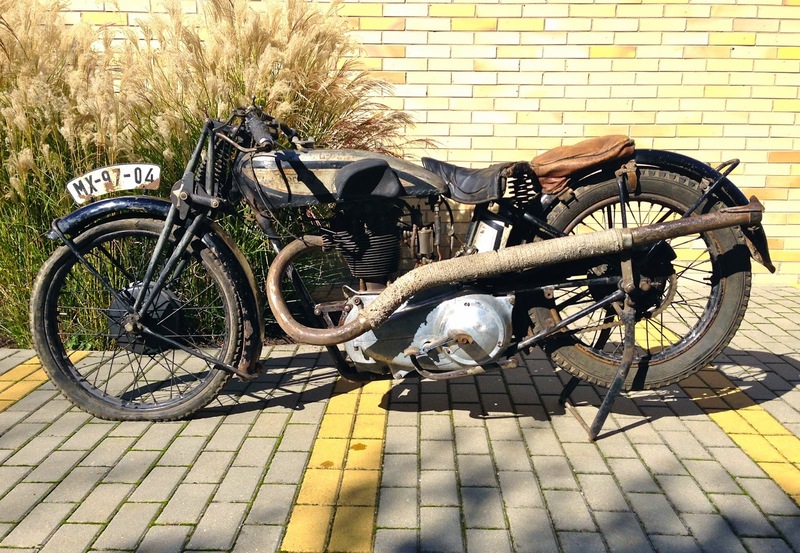 Jan had raced another CS1 (dating from 1928, above) which he had also obtained via Weigel. Filipovič used his CS1 for two seasons and then sold it to his brother František. (Jan is sitting on the machine at the far right). 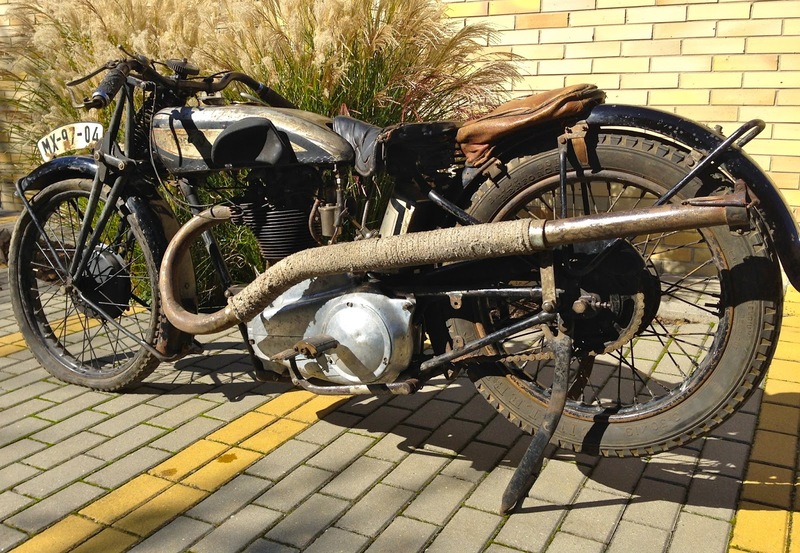 Josef Kučera, an accountant from Břeclav (a city in South Moravia near the Austrian border) bought the motorcycle from František on February the 1st, 1932 and it stayed in his family's possession until August 2014 when it was offered for sale at less than 80 kms from where I live; I went to collect it the very same day. This motorcycle is in a very original condition. Note the wheels and tyres - the front wheel still wears the original 21" Dunlop (27 x 2.75). 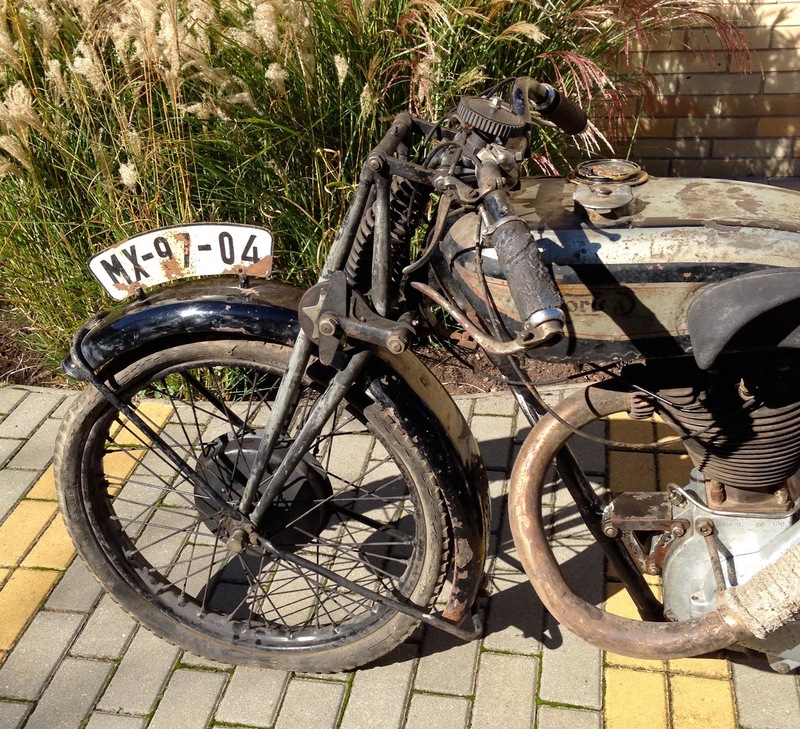 The rear wheel has a 1930s Belgian Engelebert (26 x 3.50). Many old photographs of the motorcycle have been preserved, as well as the customs and purchase documents from Jan Weigel's archive. In the oldest pictures the CS1 bears the Czechoslovak registration PV 325; later (in Hodonín, on August 22 1930) it received registration P-IX 590 and later still number P-III-723 (on February 1st 1932, in Břeclav). 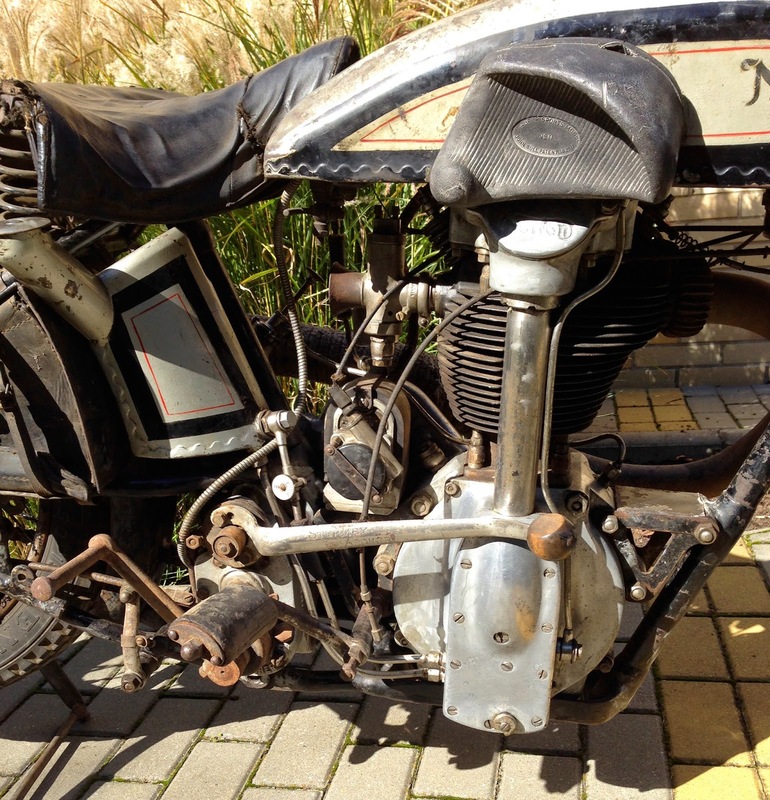 Although the motorcycle was hardly used after WWII the registration continued and in the early 1950s it received yet another license number: MX-97-04. It got another registration in 1965, however, this license number has never been used on the machine. The CS1 will be restored to running condition, however without changing the old paint, patina and general appearance."